Cargolux announced that Mr.Chris Nielen has joined the company as its new Vice President Sales. Chris Nielen joins from IAG cargo where he held the position of Regional Commercial Manager Europe. 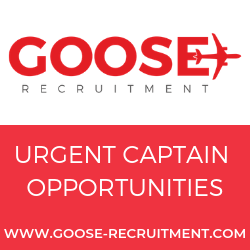 Chris has 16 years of experience in the air freight business which have enabled him to build a solid knowledge base about the air freight market especially in the Sales and Marketing area. Chris took over his position on 03rd October 2016 and will be based in Luxembourg. He is married and has 2 children. 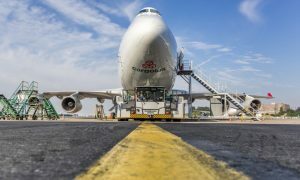 Cargolux, based in Luxembourg, is Europe’s leading all-cargo airline with a modern and efficient fleet composed of 14 Boeing 747-8 freighters and 12 Boeing 747-400 freighters. The Cargolux worldwide network covers 90 destinations, some 70 of which are served on scheduled all-cargo flights. The company has more than 85 offices in over 50 countries, and operates an extensive global trucking network to more than 250 destinations as well as full and part-charter services. Cargolux also offers third-party maintenance at its modern two-bay maintenance hangar in Luxembourg. The company is specialized in B747 line and hangar maintenance up to and including C-Checks. It offers a range of specialized maintenance services and holds line maintenance approval for 777 aircraft. The Cargolux Group employs close to 1,900 staff worldwide.